Replica Deer Antler Wine Glasses: 2 glasses in this box. This is your appropriate size glass being 11oz. Wine bottle is not included. 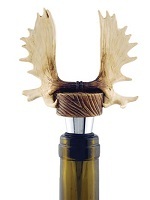 Replica of Deer Antlers to hold your favorite bottle of wine. 9.5" long x 6.5" wide. Wine bottle not included. 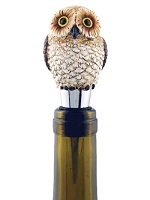 Polystone owl hangs from the neck of the wine bottle. 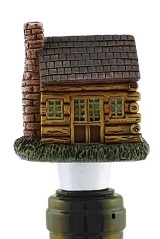 3" x 2"
Polystone asst owl stopper. 1.5" x 1.5" x4" boxed. 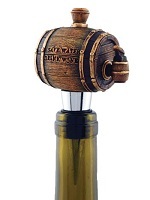 Polystone wine barrel that says "save water drink wine"on top of the stopper. 2" x 1.5" x 4.5" boxed. Polystone moose antlers on top of stoppers. 3.5" x 1" x 5" boxed. Pinecone on top of stopper. 2" boxed. Thinking of your cozzy cabin enjoying a glass of wine. 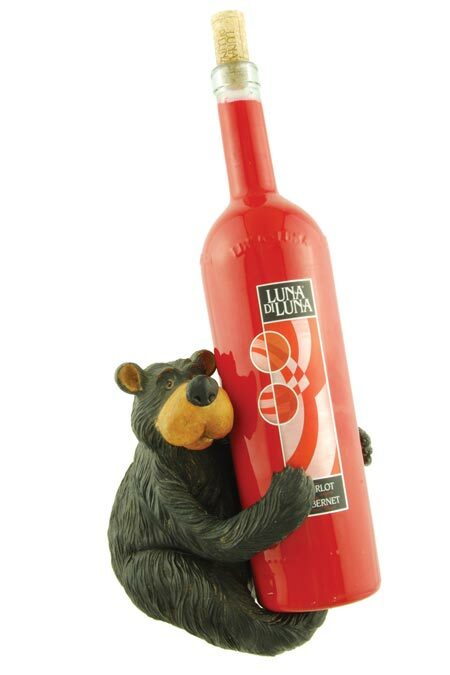 Willie Bear is having fun laying down & playing with your favorite wine bottle. 9.5" x 6" polystone. Wine Bottle not included. 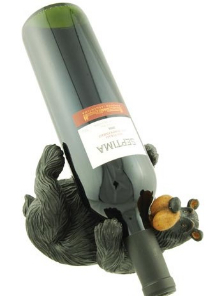 Willie Bear will hold your favorite wine on his back. 7" x 5" x 9" Wine bottle not included. 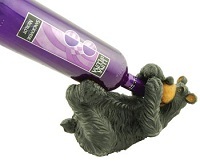 Willie Bear will hold your favorite wine bottle but he might guzzle it down. 11" x 7.75" x 8" Wine Bottle not included. Willie is climbing to the top of your bottle to put the cork in it. Polystone 3" x 2" x 6"
These bears are climbing on the neck of your bottles to play. Sold as a set of 2.